Onit’s client, a multi-agency local government organization, had struggled with inconsistencies in how projects were executed, monitored and evaluated in different parts of the program. With staff drawn from different departments, divisions and agencies, the multiple different methodologies and project approaches made it hard to share resources and accurately communicate status. Onit Management Consulting was hired to perform a full evaluation of the client’s approach to project management, develop a methodology that would work across the whole program, and train staff in using the new project framework. Onit immediately recognized the need for a comprehensive evaluation of the client’s project management needs, followed by the creation of a system deeply rooted in project management best practices. It was also clear that the client culture was strongly consensus-driven, with a great deal of value placed on peer relationships and support. To be successful the strategy needed to ensure staff would gain new skills that would be valued and respected within the organization, and that they would see rapid benefit from applying the new project management methods. In an environment so driven by peer support, a careful adoption program also would be essential. As the project would require extensive change management support in addition to project management system design expertise, Onit put together a team including specialists in project management training, Prosci ADKAR change management, communications and adoption. The Onit team’s first task was to gather information about how different client teams managed their projects, where teams felt their current project management methods had strengths and opportunities, and what types of improvements might be meaningful to them. Onit conducted a survey to get feedback on project preferences, tools and practices, then conducted stakeholder interviews to assess requirements. Onit’s technical team then began designing a set of project management processes and templates customized to the client’s environment, and built an 8-session training course to teach client staff to use the toolkit. Prior to a full rollout the toolkit was tested by a pilot team, with refinements made to the toolkit and the training based on the pilot team’s feedback. While technical design work was underway Onit’s change management team worked on an adoption plan to support the training. The plan included both passive and active tactics – passive tactics such as a poster campaign to reinforce messages from the training sessions, and active tactics such as coaching sessions and roundtable discussions to embed the toolkit into in-flight projects. A framework of project management processes and a comprehensive toolkit of templates were uniquely customized to the client’s environment. An 8-session training program was developed, plus supporting materials for later client use. Adoption activities successfully reinforced messages from the training sessions. Nearly half of the client’s staff attended the initial training. A second training series was scheduled along with follow-up coaching. 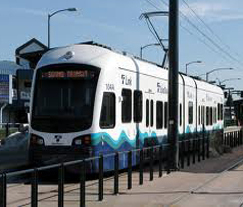 Onit’s client, a Puget Sound regional transit agency, had used SharePoint for nearly 15 years. Over two previous upgrades to SharePoint 2010, few architectural changes were made and little governance implemented, even as the agency grew and reorganized. By 2016 SharePoint 2010 was at its “end-of-life” phase, however perpetuation of the current architecture was not feasible. Onit Management Consulting was hired to perform a full evaluation of the client’s existing SharePoint 2010 farm and envision the next evolution of the client’s SharePoint environment, including developing strategic and tactical migration plans. Onit quickly recognized the importance of aligning a new SharePoint vision with organizational change management. Our team included a SharePoint Architect, Project Manager, Internal Communications and Adoption Specialist, and a consultant with deep expertise in Office 365 implementation and training. Our strategy included current state analysis and gathering requirements for a new environment, and the creation of a technical architecture and migration plan, alongside a strategy to provide training and stimulate a sustainable adoption process. The strategy sought to empower agency staff to use SharePoint Online and Office 365 to solve business problems. Onit uncovered a mass of obsolete data and work practices that had become “baked into” the client’s SharePoint environment. Broken links and non-functioning workflows led to ad-hoc workarounds. There were hundreds of site collections and little sharing of data across teams, and widespread duplication without version control. The Onit team also recognized that struggles in sharing data impacted the development of standardized business practices. With a major system expansion coming, the client was receptive to linking updated data management policies with improved project management, using SharePoint O365 as the engine for streamlining business processes and standards. Onit designed a simplified SharePoint architecture around just three site collections, leveraging the discovery capabilities of Office 365. The team worked closely with Records Management staff to integrate retention rules and best practices into the architecture. A high-level project plan was produced, as well as an Enterprise Content Management Plan, Governance Plan, and technical documentation. An Enterprise Adoption Plan included training, an adoption program facilitating peer learning and showcasing best practices, and an organizational communications plan. This would support the technical migration as well broader practice and process changes, weaving together SharePoint, Office 365 and process improvement. Multiple initiatives from IT, Records Management and leadership tied together into a single vision. Path developed for standardization of data and records retention practices. Future environment mapped to client’s current and future business vision and needs. Strategic and technical guidance provided to guide major migration/ transformation project. Twice yearly Onit’s client, one of the world largest software companies brings together half of its field sales team (thousands of sellers from across the world) for a conference covering sales strategy, new product updates, peer learning, and recognition. However, the method of event delivery, relying almost exclusively on third-party vendors, had been undocumented, labor intensive, process bereft, and difficult to scale. Additionally, executive leadership had begun asking the event team to put on larger events with more moving parts while using less funding – a clarion call for more effectiveness and efficiency. Onit was brought in to map the event delivery. Recognizing that the event was executed each cycle largely by third-party party contract resources, each with their own undocumented processes and procedures, Onit decided to focus on how information flowed throughout the event cycle. By mapping how and when information passed between the many vendor firms and temporary workers involved, and how collective decisions were made based on that information, Onit could then build management tools to support the client’s administration of these third-party external resources. Onit focused its solution around People, Process and Tools. Reviewing the current informal processes with event staff and identifying where improvements could be made by leveraging SME knowledge within a Lean framework. Capturing the agreed first pass “improved” process, then applying a more rigorous review for opportunities to gain efficiencies and effectiveness using proven Lean, Six Sigma and PMI-PMBOK techniques. Creation of a process map for the final version of the newly enhanced process, showing where efficiencies had been gained. Development of additional tools to assist project leadership in visualizing the event delivery from a project management perspective, and illustrating areas where further efficiencies could be gained. Documenting areas of risk to be analyzed and managed. Project team and project leadership could align around a single event delivery framework. Event delivery was made more effective and efficient by eliminating the need to create ad hoc processes and methods for each iteration of the event. The new improved delivery framework was captured and documented, removing the risk of losing essential intellectual property with a change in personnel. 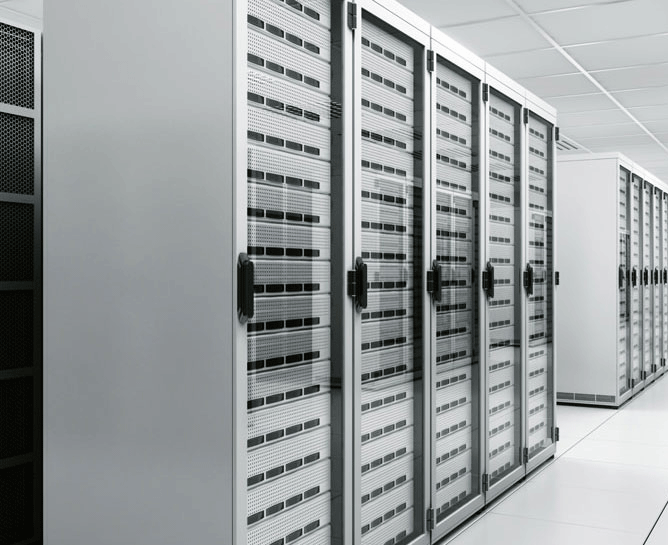 For 20 years Onit’s client, a division of a large public sector public utility, had used a shared network drive without governance. With no file management protocols, standardized folder architecture or consistent naming conventions, the drive had evolved into an anarchic collection of files and folders housing terabytes worth of data, which users struggled to navigate and which hindered productivity. The vast majority of data had no clear owner, with files “lost” when staff moved on. Faced with a pending platform change the division was charged with cleaning up its network drive and coming into compliance with Records Management policy. Onit’s deliverables were a current state analysis, plus file folder architecture, naming conventions, and migration strategy and support. Onit quickly realized the importance of user involvement in the new system design and the migration itself. They also recognized that a recent reorganization was an opportunity for the new file system to support leaders’ vision around new work practices, rather than just reflecting the org chart. Thus the strategy was to guide team leaders in building a new architecture around information flow, and helping users migrate their own data, including bringing their files into archiving compliance. Onit formed a stakeholder group representing each team as well as IT, Records Management and division leadership. This group mapped information flow, as well as business requirements. 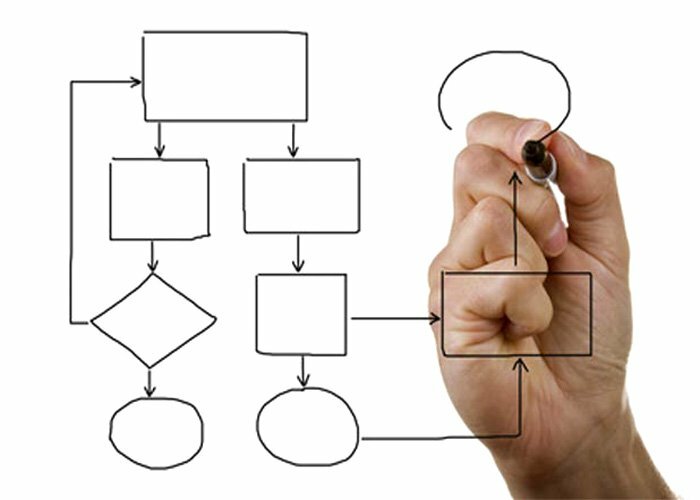 Onit then guided the creation of a new file structure based on this information flow, along with naming conventions and a governance plan mapped to business needs and practices. Onit also created an engagement plan and supporting materials to provide users information on the new system and to encourage participation in the migration. Engagement included a steady cadence of updates during the system development process, a user migration process, short videos about the system and the migration process, “cheat sheets”, and a detailed user manual. 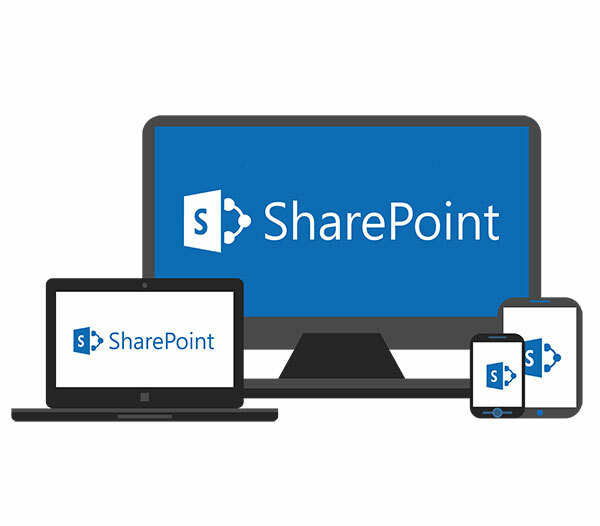 A SharePoint site was developed to provide on-demand training materials for the initial migration and for ongoing maintenance and policy compliance. The migration process included identifying files falling outside the utility’s archiving policies and marking these for deletion, as well as archiving all relevant records per policy. As part of the training, users were also taught simple monthly and annual routines to ensure the system remained in compliance. Onit also assisted users in the migration process, providing 1:1 and small group training, capturing user questions to feed into FAQ resources, and authoring a project newsletter. A start-up telecommunications company (“Acme”) had engaged a global networking infrastructure provider to build its nationwide new technology network from the ground up. This provider (“Alpha”) was struggling to meet the start-up customer’s expectations, as most of Alpha’s customers were mature communications concerns with mature processes and levels of administration that made agility unnecessary. Acme instead required the support of a dynamic organization to provide subject matter expertise. Acme was under tremendous performance pressure from its Wall Street investors and was transferring this pressure to Alpha. Additionally, the challenges of the Acme project were eroding profit margins for Alpha. A new approach was necessary to enable Alpha to profitably meet Acme’s needs. Onit Partner Edward Byers was assigned to effect a turnaround on Alpha’s engagement with Acme. He realized this would require improvements in Alpha’s project management discipline, delivery methodology, communications and quality. His strategy was to create a more agile PMO, better able to serve a broader range of clients, including start-ups such as Acme whose needs were different to those of Alpha’s traditional customer base. Edward first task was to create a client-focused culture within Alpha’s PMO. 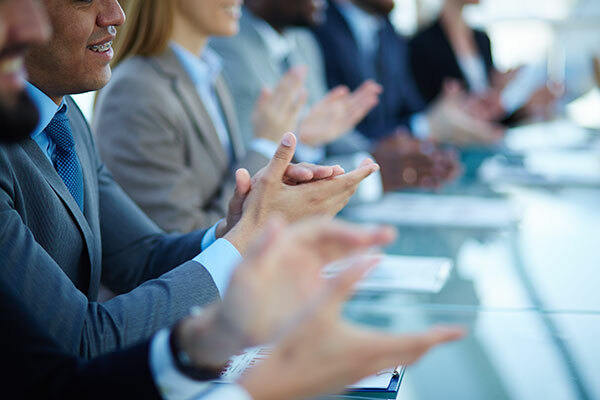 This meant empowering Project Managers to act as customer advocates, and encouraging regular dialogue between Project Managers and their clients to consistently monitor customer satisfaction. This helped the PMO become aware of customer satisfaction issues at earlier stages of the process, before escalation took place. Edward then focused on improving project discipline by establishing objective project performance metrics and accountability for deliverables via regular status reports, using tools such as Earned Value. This helped to establish an expectation of proactive task planning versus reactive behaviors, and of proper risk identification, analysis and management. With strong customer advocacy and project discipline in place, Edward could then align the project team around standard project management practices, skill sets and techniques via formal training and certification. Project performance improved measurably through use of project management software and recurring status reporting of objective project metrics. Project communications were enriched via the use of standard project documents, created in conjunction with the client and rolled out across the program. Project quality increased as a result of the implementation of project metrics (for example Earned Value) that were then measured and displayed. Engagement profitability for Alpha was enhanced due to more efficient and effective project execution. 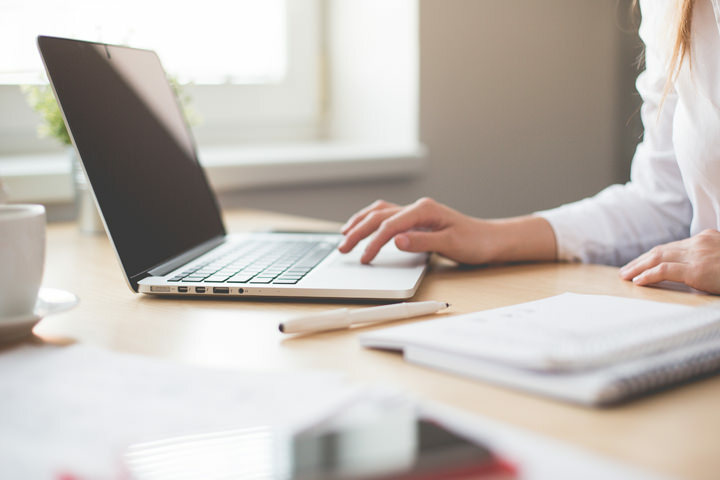 The seller training team for a division of a large Seattle area software company delivered training at yearly intervals, corresponding with major product updates. However new cloud applications were updated more frequently, requiring more frequent seller training. Onit Partner Charlotte Franklin was engaged to assist in adapting the client’s training activity processes. Little material existed from previous events, and presenters were volunteers from Marketing, R&D and Sales, with limited time to assist. Thus the strategy was to develop a repeatable training framework minimizing the time required by presenters while producing high-quality re-usable content. The analysis included studying previous events and gathering feedback from stakeholders, identifying factors contributing to positive training outcomes, and noting issues of concern to presenters. A documented process could then be created, plus supporting materials to assist presenters and the project team. The strategy also including developing a process and guidelines to re-use content across other platforms. It was known that live online training was cost-effective and recipients liked being able to ask questions in real-time. However it was difficult for presenters, forcing them to be at onsite studios for hours, often in the early mornings or late evenings. With limited rehearsals, presenters struggled with live demos while simultaneously fielding questions. To relieve the burden on presenters, Charlotte restructured the event around pre-recorded video segments paired with live Q&A via Skype. This enabled presenters to participate from any location and reduced their live commitment to just 30-45 minutes. By removing the live demo the SMEs could focus on answering questions, reducing their stress and improving their performance. Video segments were recorded at convenient times and locations, broadening the pool of presenters and allowing for more creative presentations. To create a repeatable execution process, Charlotte enlisted a core team of vendors including project leads for the online streaming platform and a video production house. This team agreed on timelines and metrics for each part of the process, enabling production of a standardized delivery template for what were now called the training “Blitzes”. The delivery template included a project plan, roles and responsibilities, pre-production and presentation templates, presenter briefing materials and event marketing materials, as well as a designated project cadence that enabled the client Program Manager to quickly manage any internal obstacles. Planning and production time cut from 3-4 months per event to 30 days. Event cadence became predictable for presenters and trainees, improving participation rate. Measurement of event results was standardized. Experts were more willing to present and more satisfied with the resulting presentations. Video segments were repackaged into individual tutorials, increasing the reach of the content. 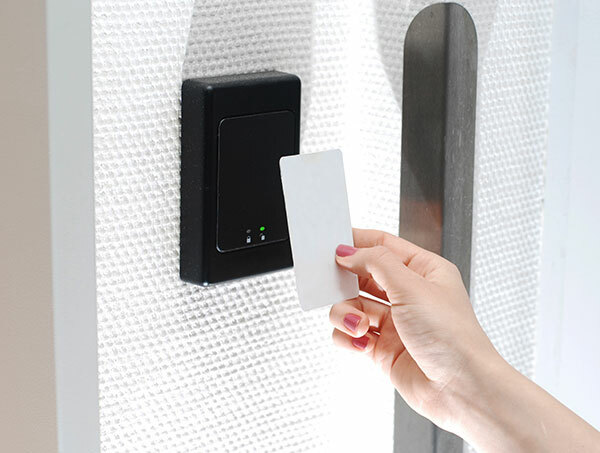 Onit Partner Edward Byers’ client, a Pacific Northwest area health insurance company, had a critical and high-visibility project in flight involving the replacement of its Access Control (“Key Card”) system, as it had reached “end-of-life” and was no longer supported by its vendor. Under the auspices of a previous project manager the project had inexplicably stalled. The client needed a project manager with a turnaround strategy to get the project back on track. Because the project had to be completed, and was already underway with the system provider selected, project turnaround was an absolute must. Accordingly, the strategy selected was to thoroughly analyze the perceived problem areas in the project delivery, then effect a “culture change” for the project. This included engaging all of the appropriate stakeholders and creating an attitude of ownership amongst them, changing their perception of the project from something they watched happen from the sidelines to something they were part of. Introducing the art and science of project management to both the system provider and to key client stakeholders resulted in all participants of the project team becoming “project managers”. This facilitated the introduction of tools such as RACIs and Earned Value metrics, as participants then understood and appreciated their value. Once the proper project management tools were in place and a culture change was effected, the project turnaround occurred via an intense focus on schedule and execution, both of which could now be objectively measured with the aforementioned tools. The tools created a culture of discipline and accountability, and by reconfiguring project meetings and status reporting around objective measures rather than subjective perceptions of project status, Edward was able to create a cohesive and pro-active project team. 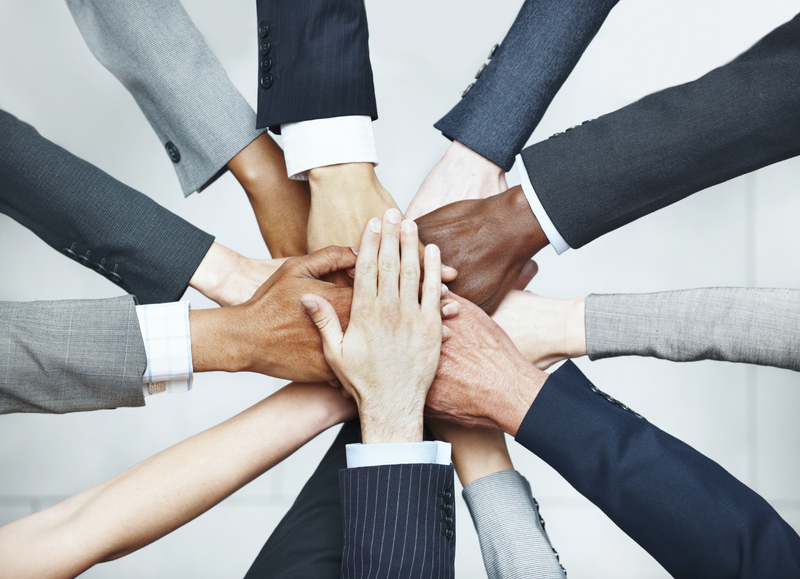 Collaboration improved and all team members felt that they had a role to play in removing roadblocks. The project was completed successfully, garnering the following praise from the client: “Edward managed the project from vendor selection through the implementation and close-out (7-month engagement). He was a very quick study, he quickly came up to speed and took total control over the project week one!! I would highly recommend Edward to any firm who is looking for a PM with exceptional technical expertise and proven leadership skills to execute your strategy through a multi-departmental collaboration”. With a rapidly expanding workforce, Onit’s health insurance industry client was experiencing significant parking lot congestion at its suburban campus, causing stress among staff and ill-will with neighbors. Short-term fixes included leasing expensive additional parking nearby, while the long-term fix under consideration was construction of an expensive parking garage. Onit Partner Charlotte Franklin was tasked with seeking an alternative strategy for leadership consideration. Onit’s strategy was to develop a solution aligning the parking issue with the client’s projected three year “hiring bubble”, as well as with corporate goals around reducing environmental impact and creating long-term sustainable growth. A strategic program to reduce single-occupant vehicle commutes would alleviate congestion without locking the client into an expensive infrastructure project, while also supporting corporate environmental goals and being scalable to respond to changing hiring levels. Onit considered the needs and incentives of different stakeholders, including client leadership, staff, neighbors, and the broader local community. A matrix was then developed for mapping incentives and disincentives for each. For example, the program recommended creating new incentives for staff to use alternate transportation (cash payments for ridesharing and public transit; parking permit buy-back program) and combining these with disincentives for driving single-occupant vehicles (introducing fees for parking permits). The strategy also recommended partnering with other large nearby employers, including a large college and a hospital, who were facing similar issues. The three organizations could combine ridesharing pools to increase the options available to all staff, and could work jointly with the local transit agency on service improvements. The third prong of the solution was to raise employee awareness of existing and alternative transportation options, including the client’s preferential parking for carpool vehicles and incentives to purchase transit passes. Onit recommended an introductory marketing campaign and a series of regular awareness activities. Recommendations were presented as a phased program based on the level of change required and mapping actions to outcomes, enabling the client to select a solution that matched its current resource ability to execute. A regional Commute Trip Reduction (CTR) Committee was created including client, nearby college and nearby hospital (the three largest regional employers) and the local transit agency. Transit agency tools used to establish regional rideshare program across all three employers. Awareness campaign established across all three employer locations. CTR Committee agreed to jointly fund future additional transit service.